Scientists locate the attack zone of a mouse's brain. Scientists have discovered the neural pathways in a mouse's brain that controls its hunting behaviour. 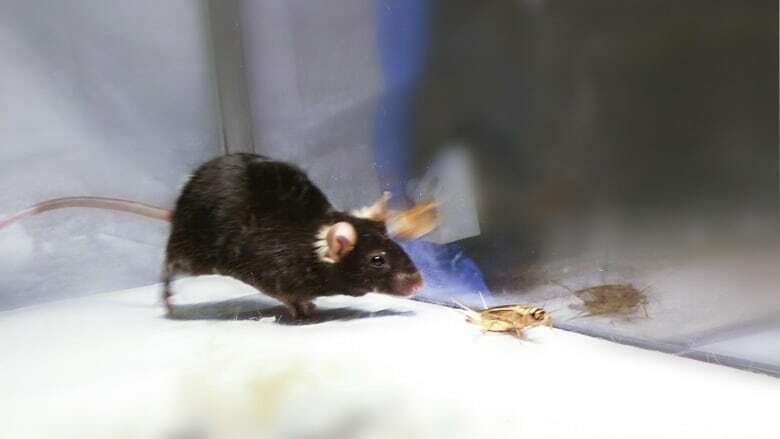 By simply flipping a switch, scientists can remotely control a mouse's predatory instincts. Dr. Ivan de Araujo is an associate professsor of psychiatry and physiology at Yale School of Medicine. He and his colleagues used a method called optogenetics to first deliver an algae gene to the specific neurons in the mice's central amygdala. Once that light sensitive gene is expressed in a mouse's neurons, scientists only need to turn on a laser connected to the mouse's brain to turn its hunting instincts on and off at will. By doing so, Dr. de Araujo and his colleagues were able to identify the brain circuits responsible for complex behaviour, in this case - hunting. Was the search for Malaysia Airlines flight 370 called off too soon? Quirks & Questions: What the heck are those light pillars?